This is just a walkthrough, showing just some eye candies together with an occasionally remark. Have fun. 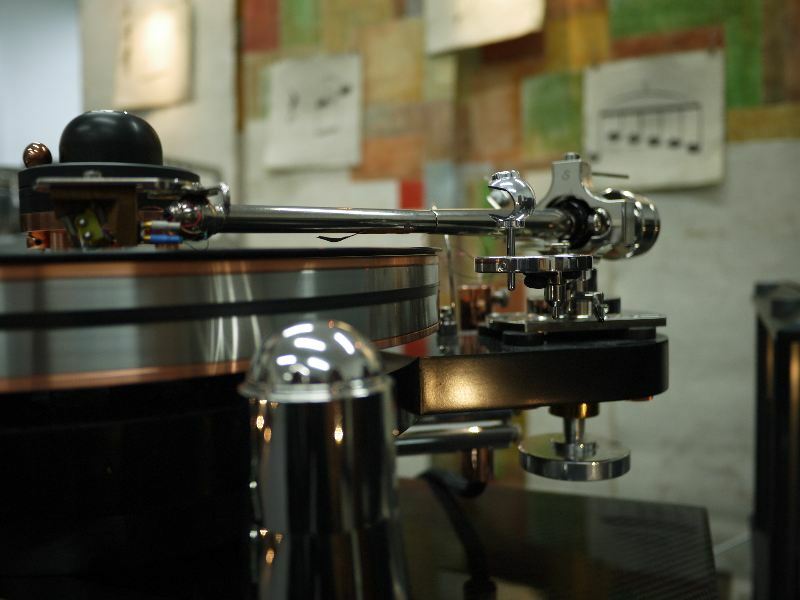 While there was nothing new from Ulla Scheu, her Scheu Cello Classic Line Timbre made of slate and wood caught my eye, as well as the red Classic tonearm. 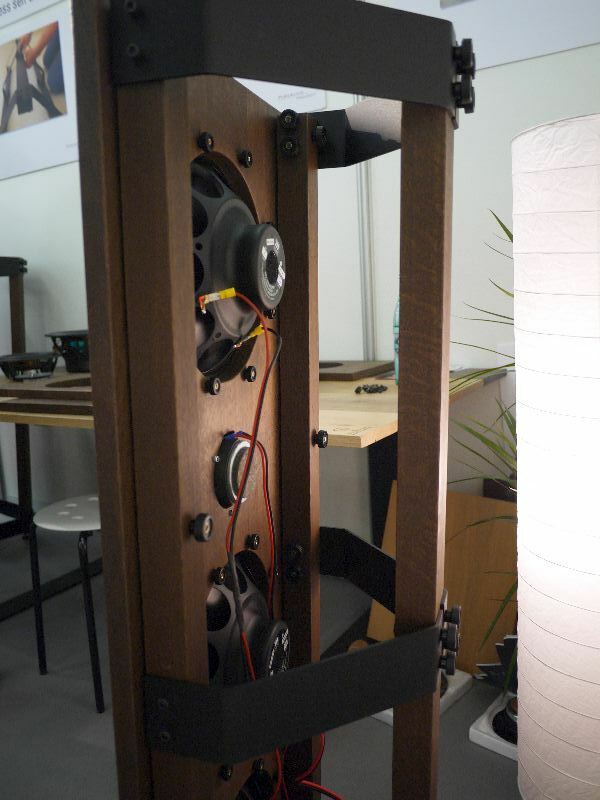 Some great brains involved in the development of the Naim Ovator loudspeakers, Fink Audio, finally presented their own loudspeaker. 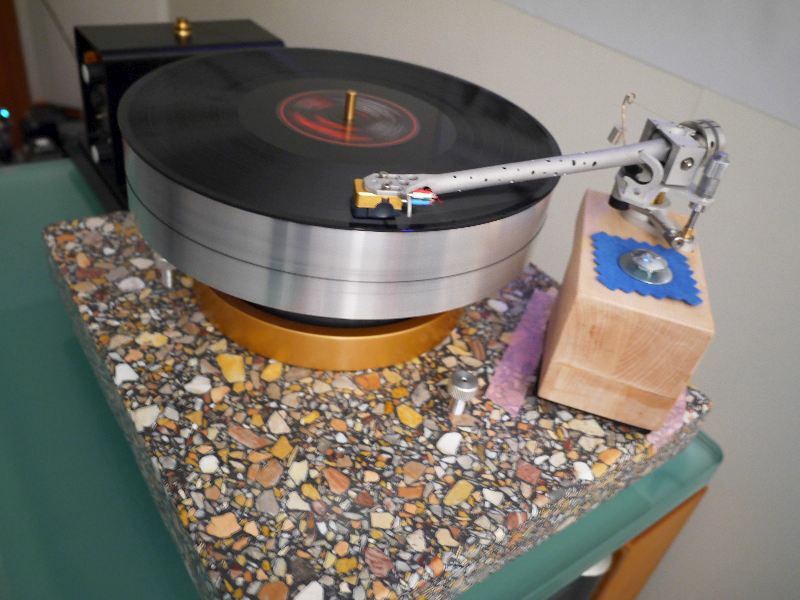 I liked the sound. 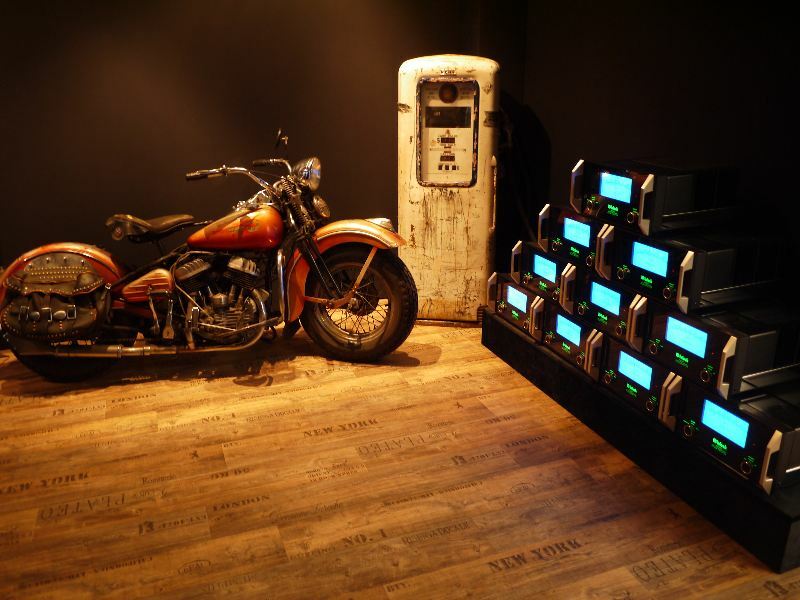 The new Italian owner of McIntosh assumes that lovers of vintage motorcycles also like McIntosh. 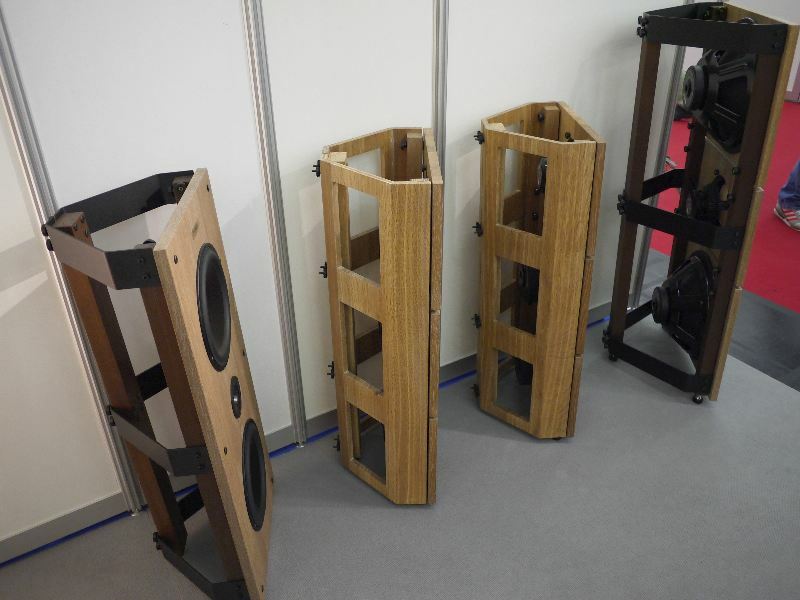 If you value big old fat JBL loudspeaker of last century, these are for you. 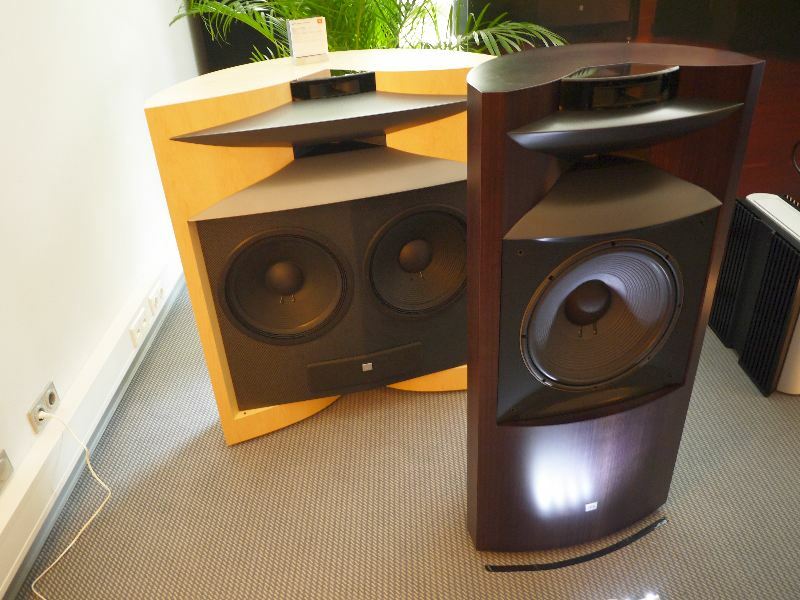 You can still buy JBL Everest D66000 (two woofers each) and K2 S99C0 (just one woofer). 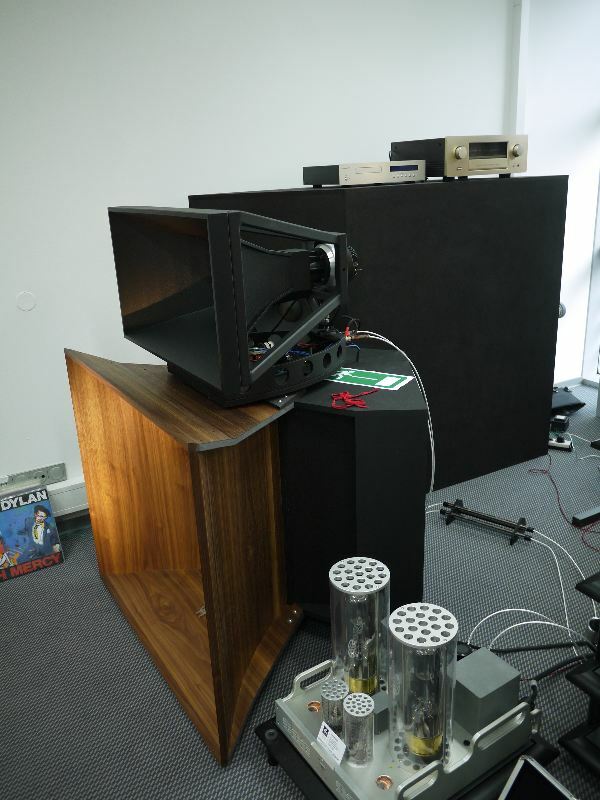 Pluto Audio, now for more 40 years in business, joined Allnic Audio and Blumenhofer, who presented a prototype loudspeaker in development. The bass department looks to me like an open baffle with front-loaded horn. 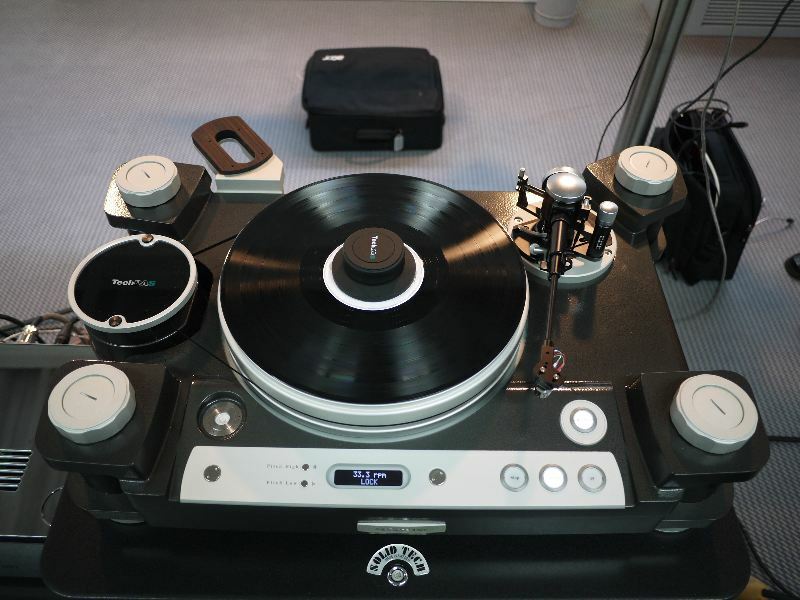 I have great memories of my Pluto 10A, which is the second best turntable, which I had at home. 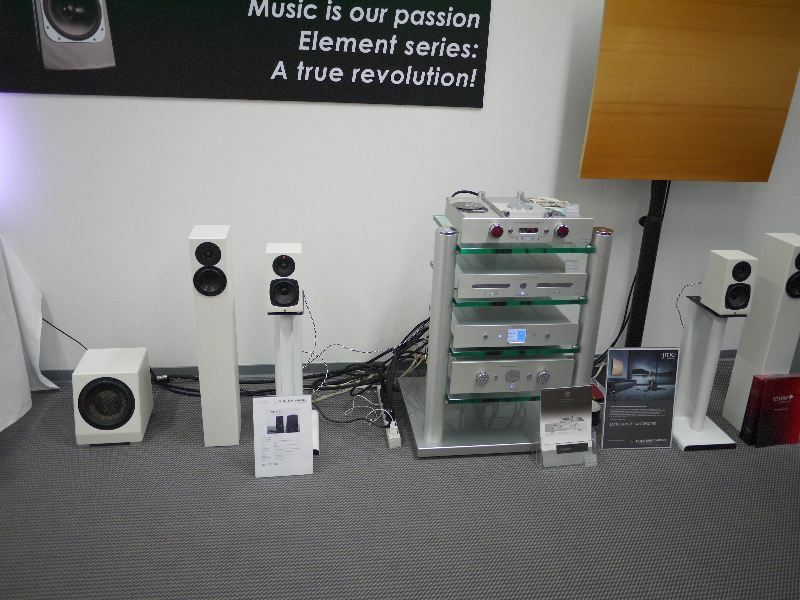 This is now 10 years ago, and Eddie Driessen of Pluto Audio has improved his middle model further. 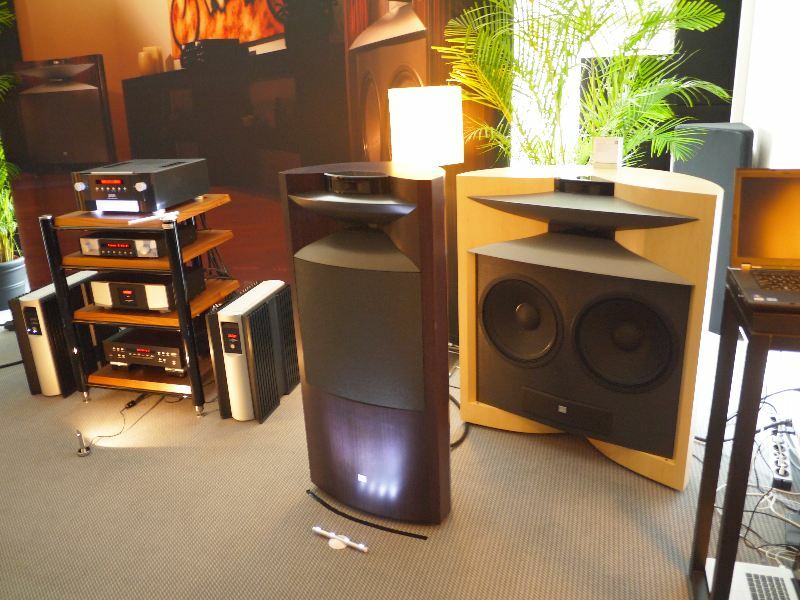 Silbatone Acoustics did it again. 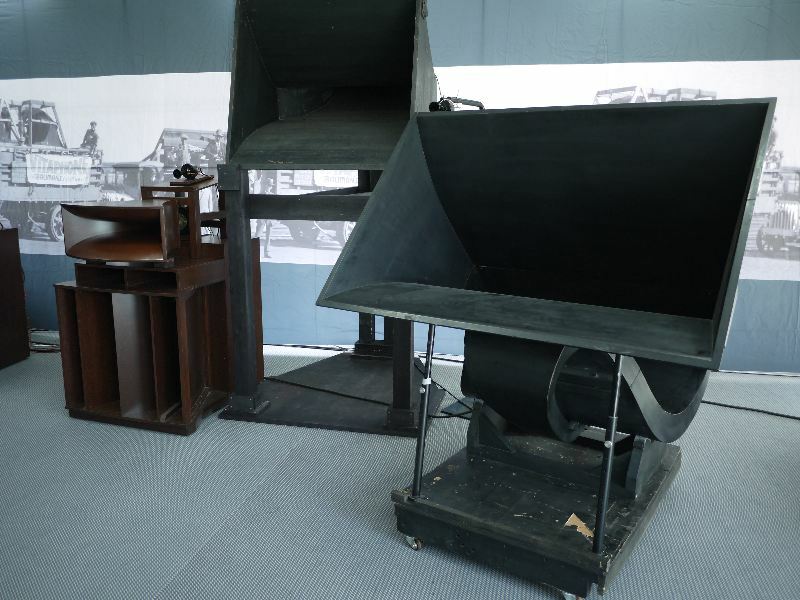 They brought old Western Electric 12A and 13A loudspeakers from 1926, which had been developped by Western Electric to play in cinemas showing non-silent movies. 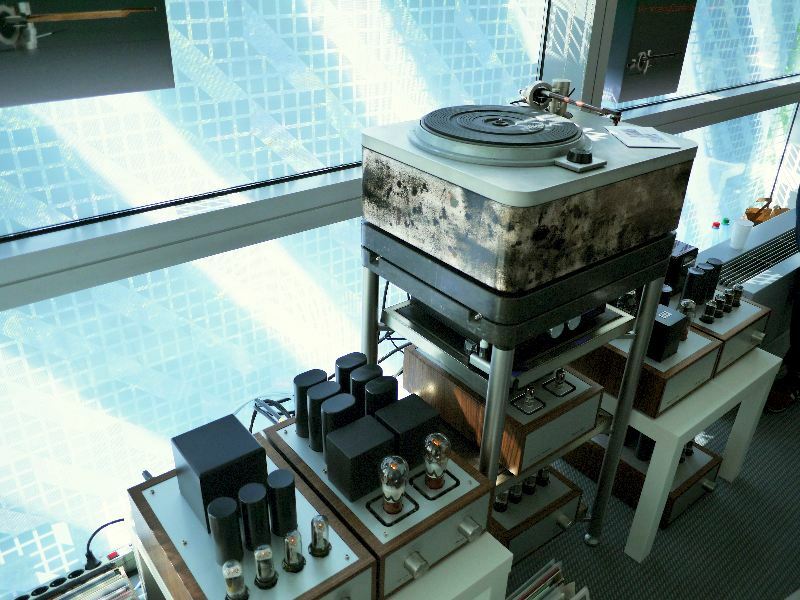 At that time they had power amps up to 8 or 9 watts, so the speakers had to be efficient and big. The 12A has square dimensions and the 13A non-square. Both are meant to play fullrange. 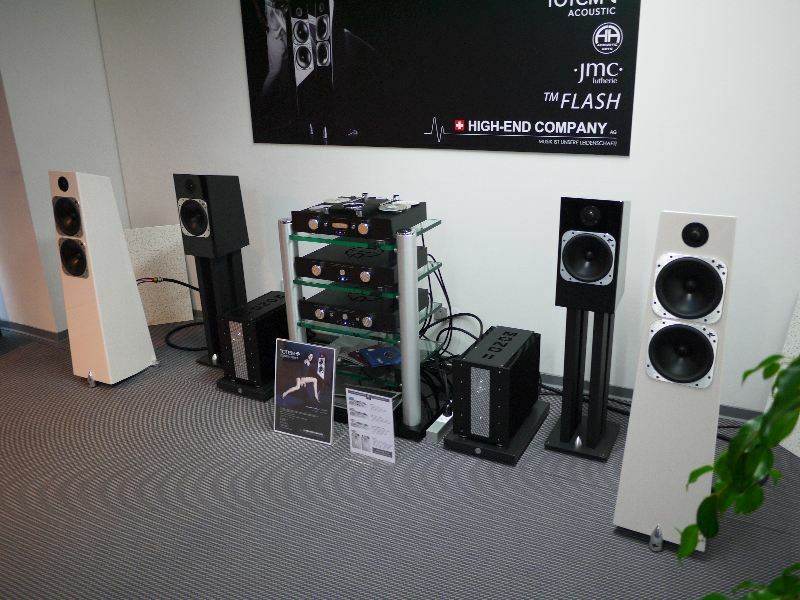 In Munich, they played fullrange without any crossover, but were helped by additional 597A tweeters and one subwoofer. 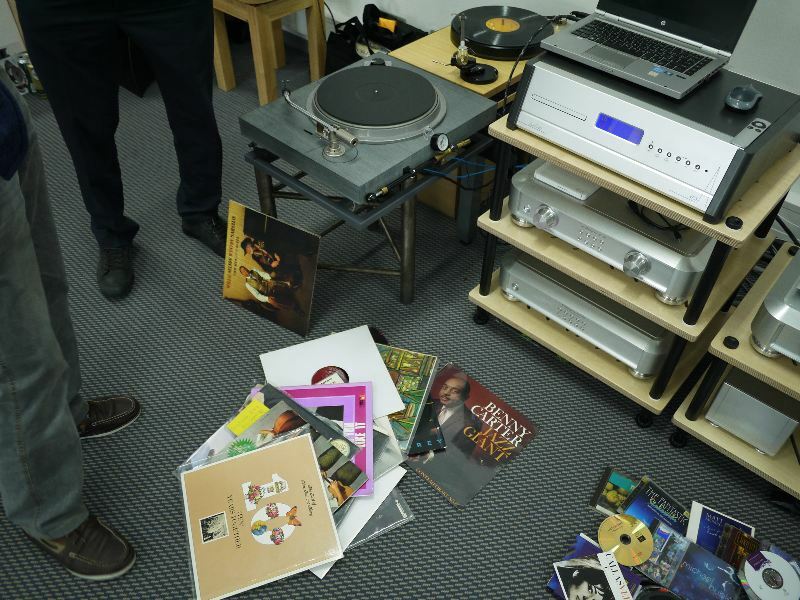 Music we play today has an extended frequency spectrum, so using such helpers seems reasonable. 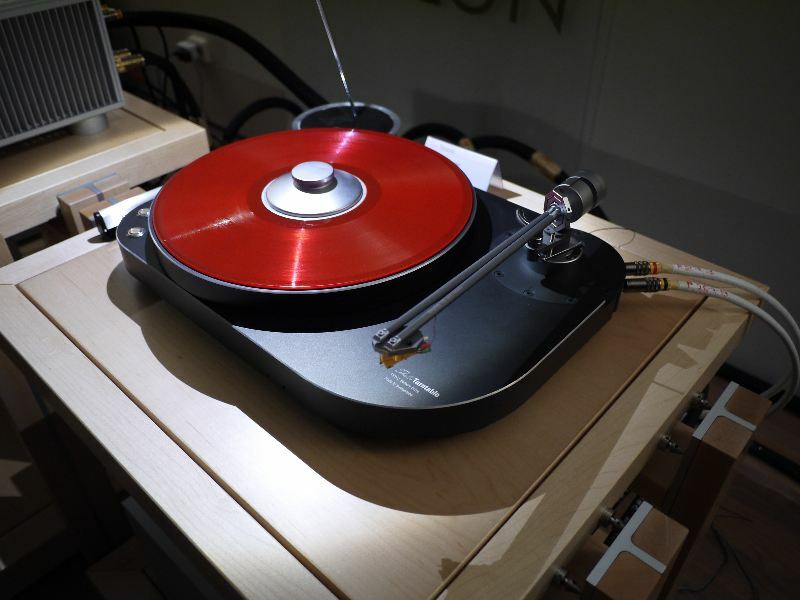 The sound was effortless like nothing else, and even better than previous show installations from Silbatone. 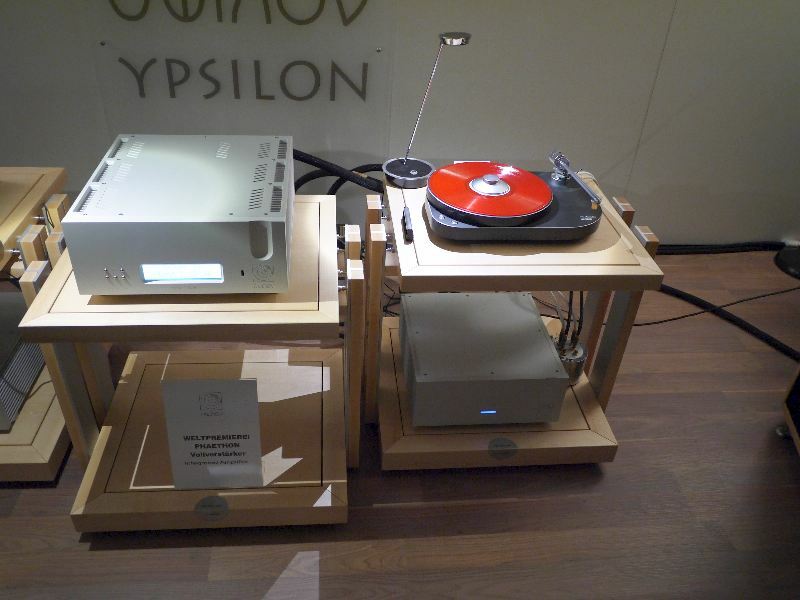 Amplification was from Silbatone, and they played Maria Callas and Led Zeppelin. 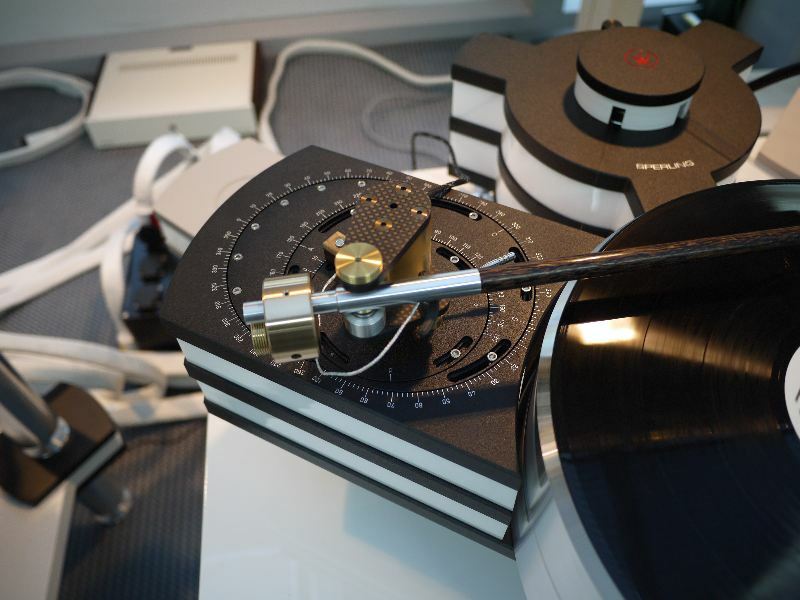 Vinyl reproduction was with the help of some vintage turntables from Australia and Tasmania, as well as a current production Artemis Labs turntable designed by Frank Schroeder and equipped with his phantastic pivoted linear tracker. 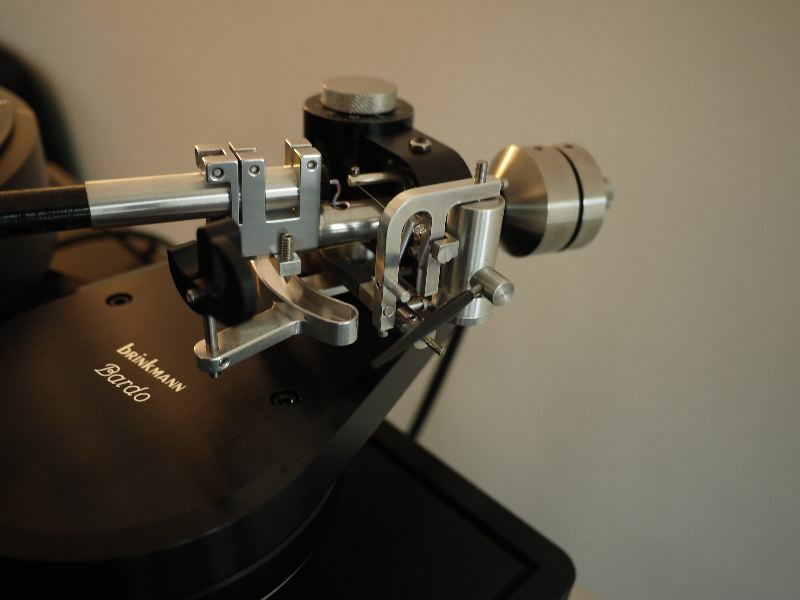 Tri Mai of Triplanar brought a new version of his famous Triplanar tonearm. 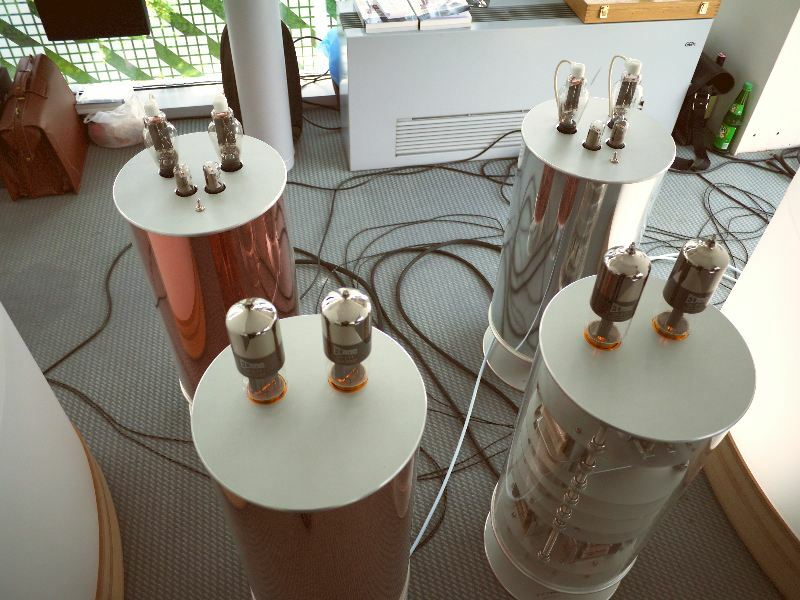 Thomas Mayer has successfully transformed his DIY efforts into his own company, producing finest tube amps. 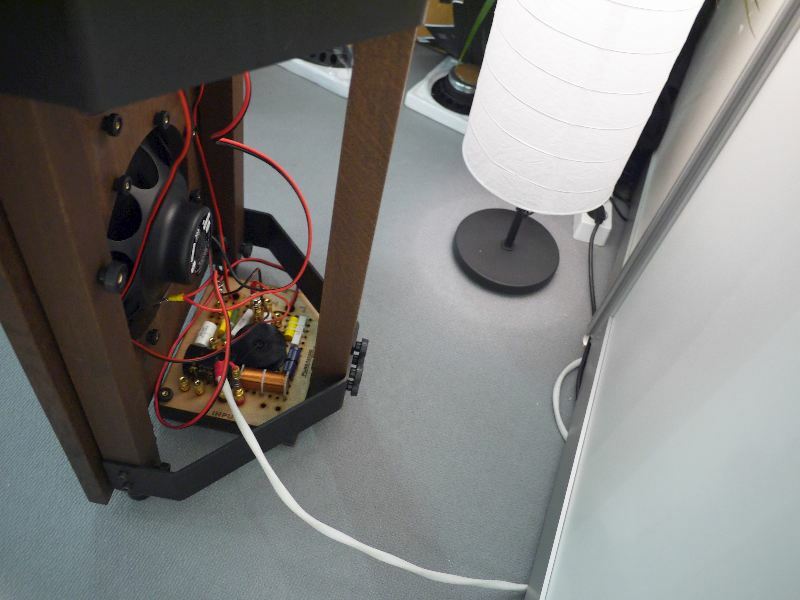 His power amps are 211 single ended tube driven by 211 driver stage, like Sakuma did, and not push-pull, like some visitors mistook them. 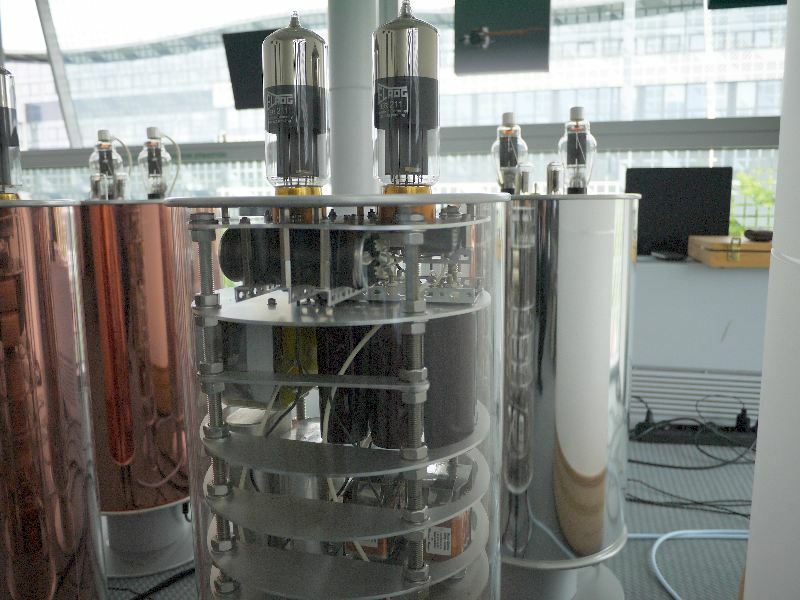 The tubes are the new production Elrog 211. 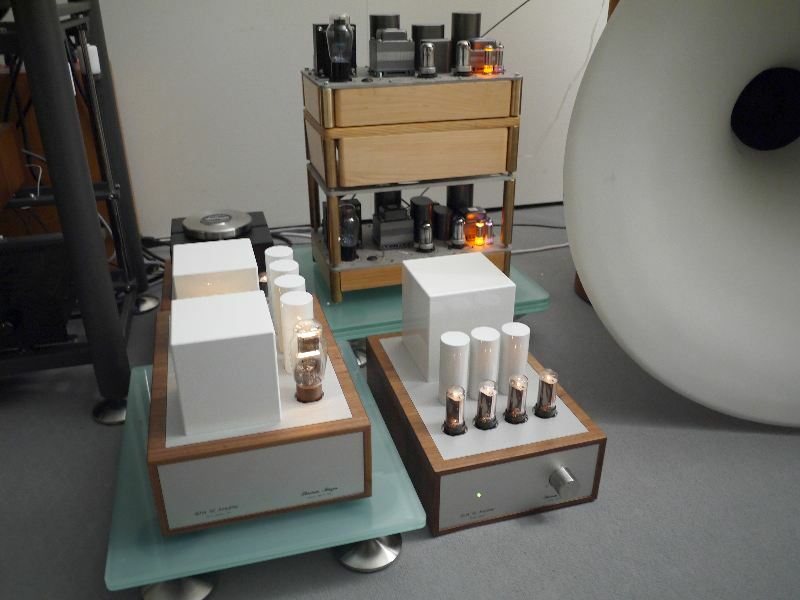 BTW, Thomas Mayer's line preamp had the volume control after the 811 tube - this configuration makes sure that the signal to noise ratio is extraordinarily high regardless of volume pot position. 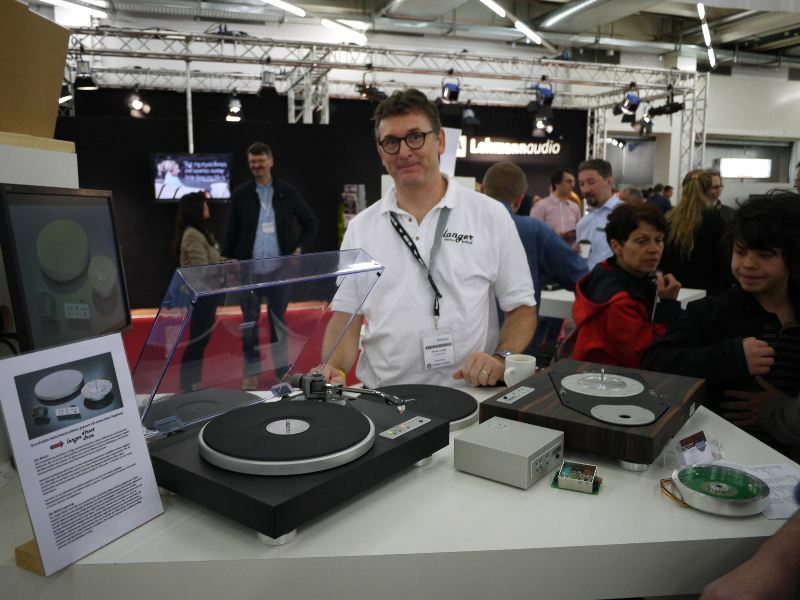 Bernd Hemmen of PrimaryControl had his tonearm mounted partnered with a Lyra Atlas MC pickup and a vintage turntable from Tasmania - I guess these things from down under must have something special. 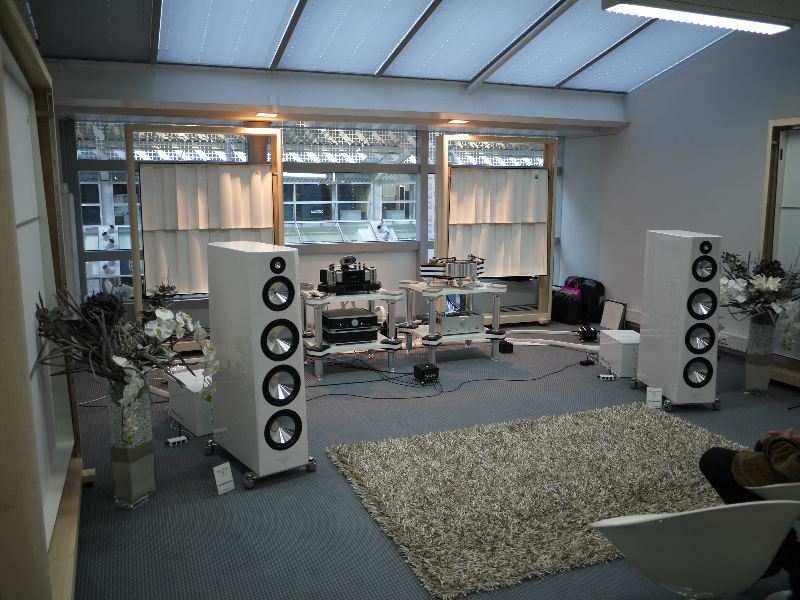 Wolf von Langa presented his Salon open baffle loudspeakers, each with two 15 inch woofers, one 15 inch fullrange and a horn tweeter. 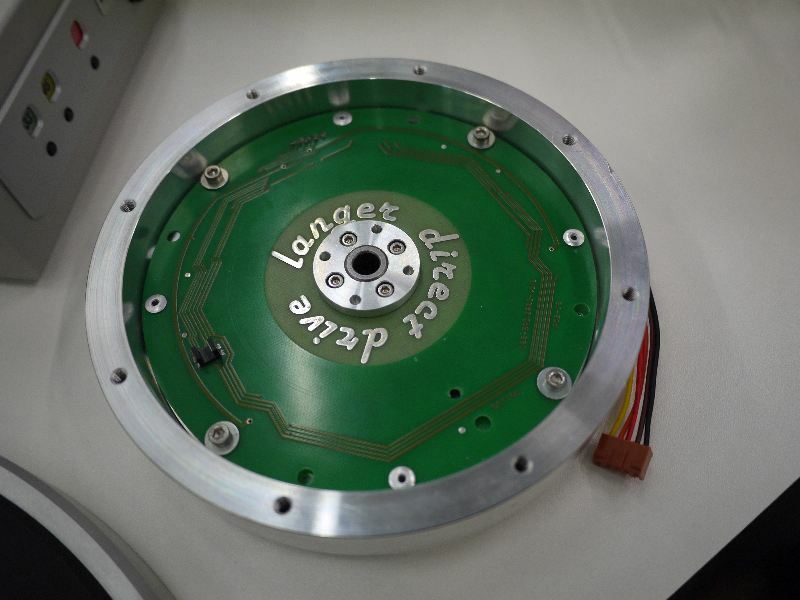 All drivers are driven by electromagnets. 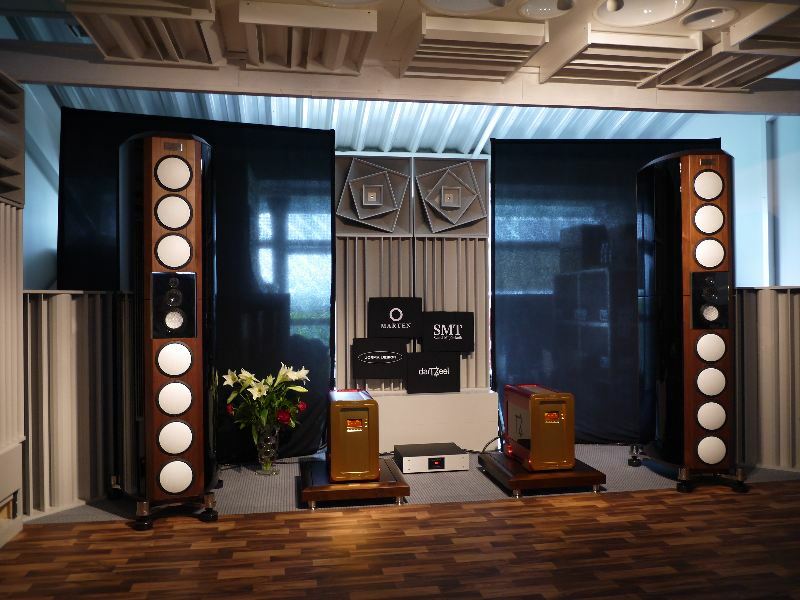 Although they had quite a small room for a dipole installation, the sound was not only effortless and powerfull, but also crisp and clear. 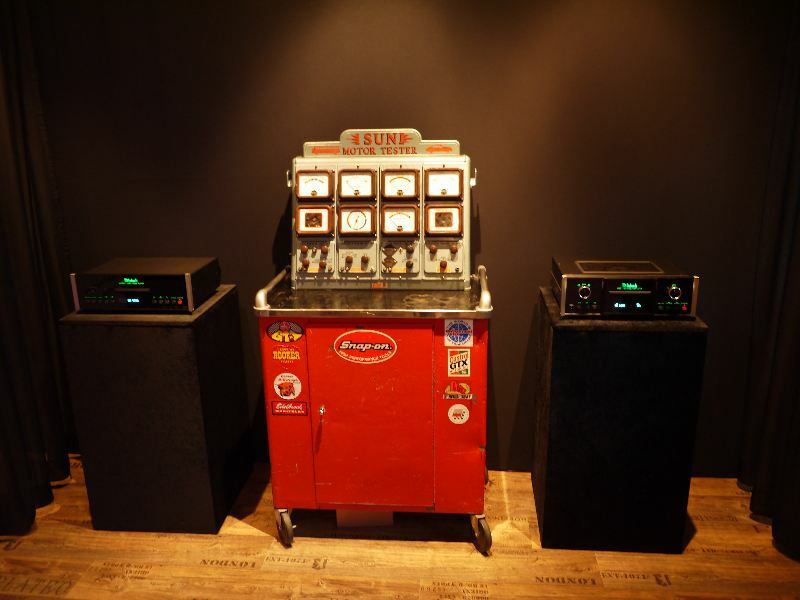 The folks played Yello, Madonna, and all sorts of Jazz and Classical music at very high levels, maybe they had to turn up the level because Silbatone had their installation just one floor below them. 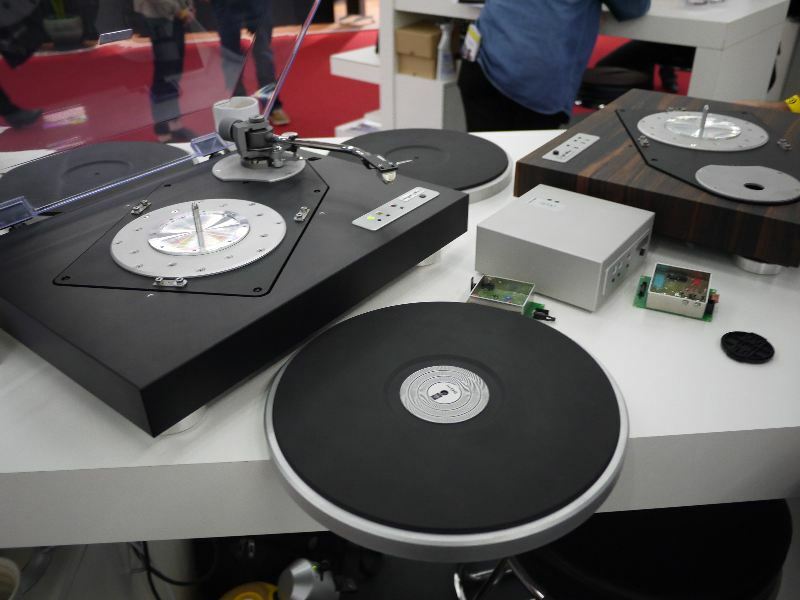 The wonderful Sperling Audio turntable was presented in a room with some light, so that I can take some better pictures than last year. 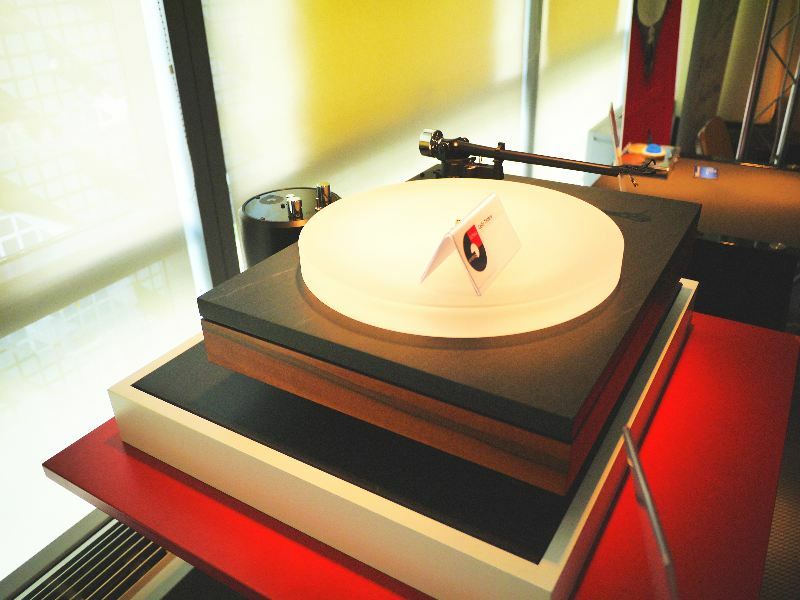 They installed tonearms from Frank Schroeder and Durand and delivered the music for the Zellaton loudspeakers. 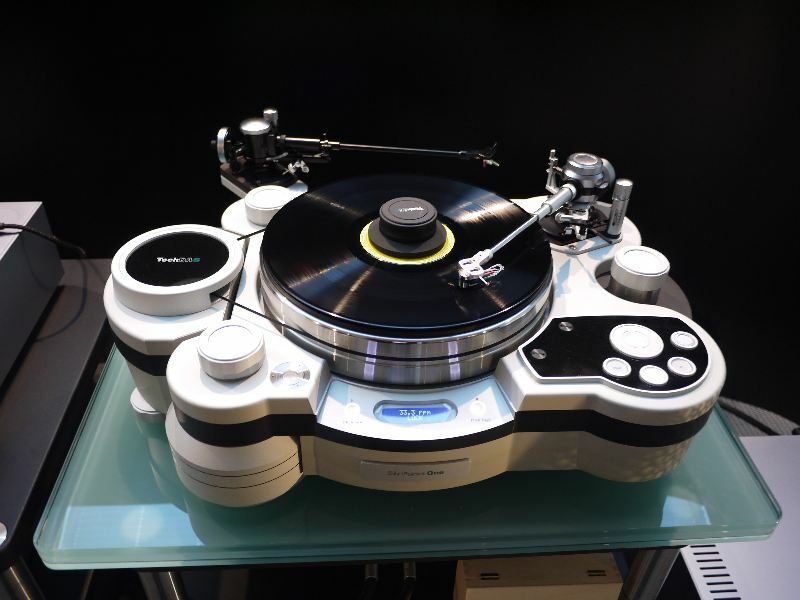 TechDas brought their Air Force One and Two turntables. 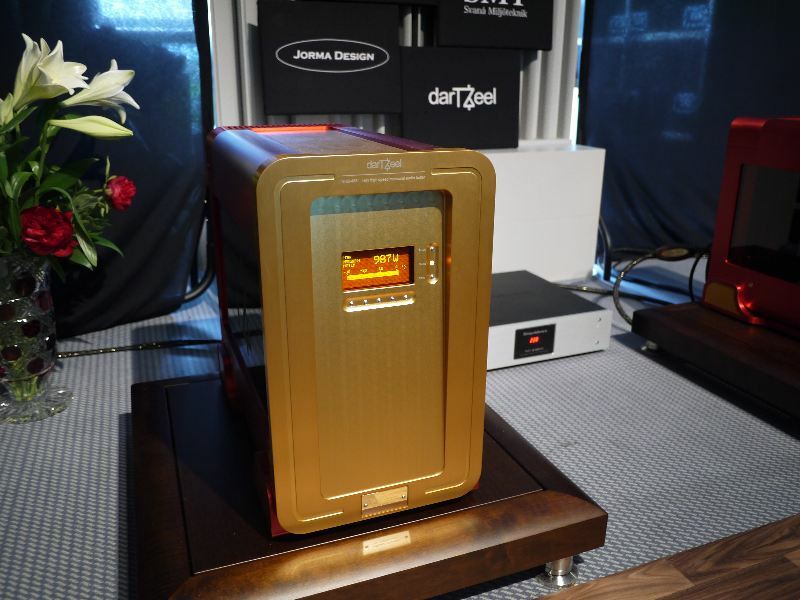 Dartzeel had some really powerful monos, with peak power on their displays. 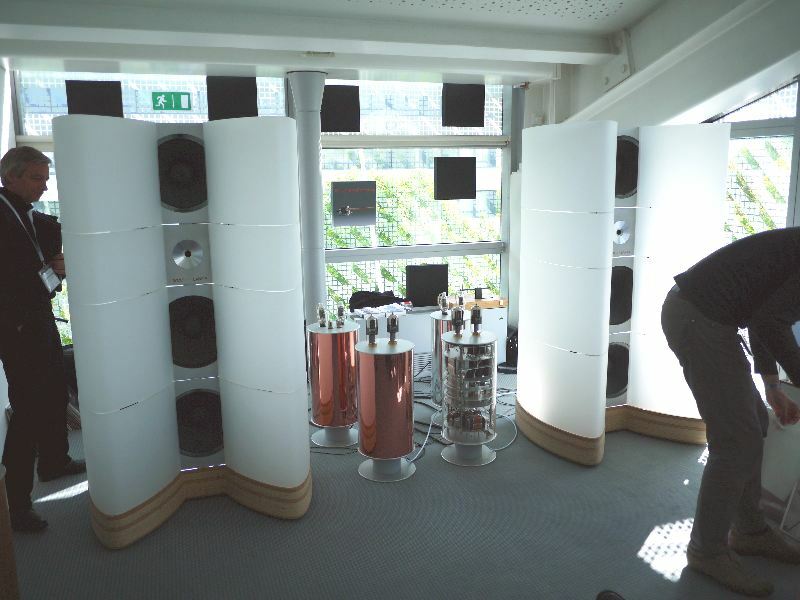 At some high level - honestly, it was only modestly loud - the display showed more than 900 watts. 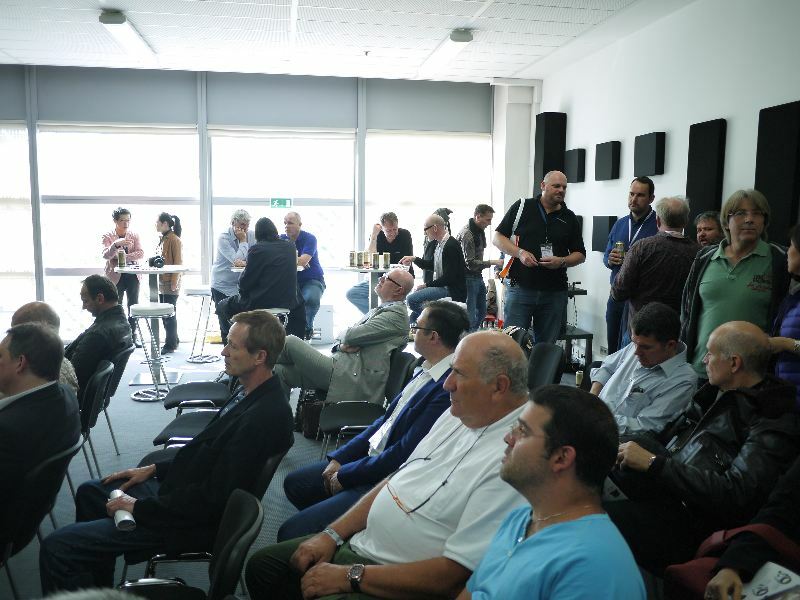 I guess the speakers are not very efficient. 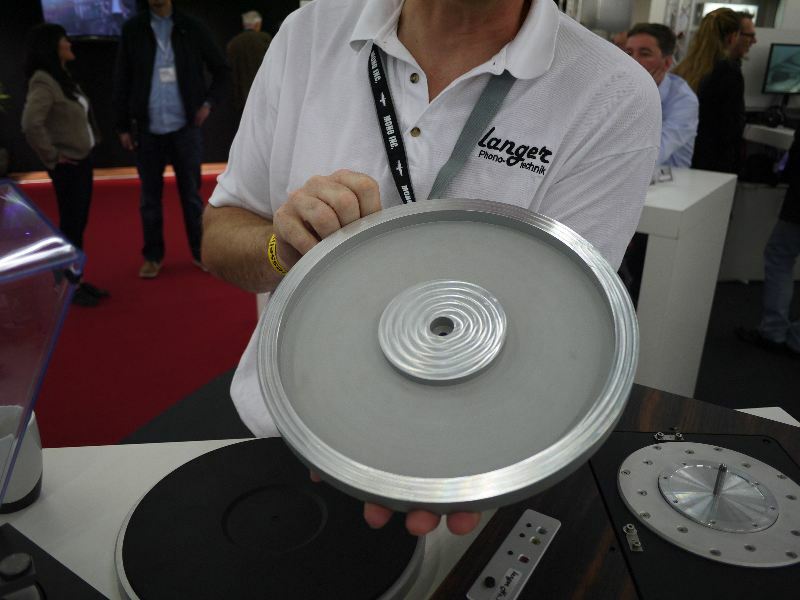 Langer developped a new direct drive turntable, with a really huge ironless motor. 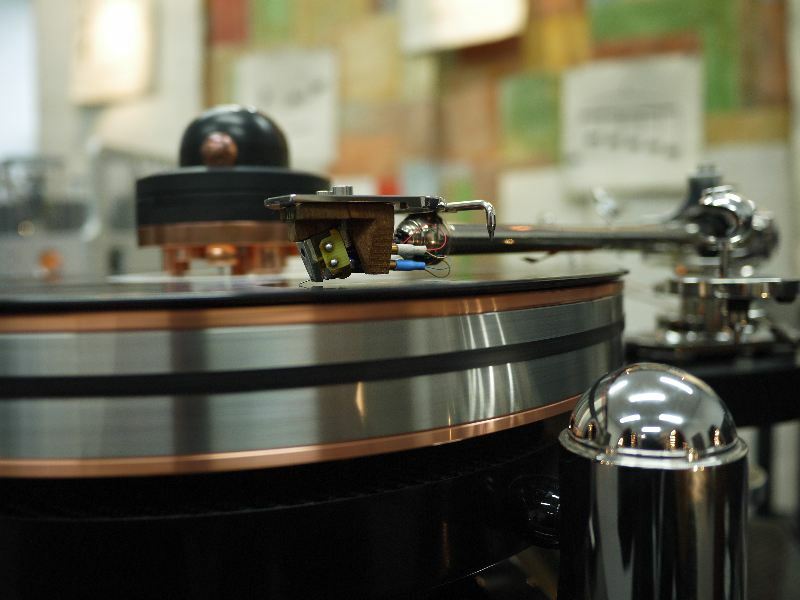 The motor is even bigger than in EMT studio turntables. 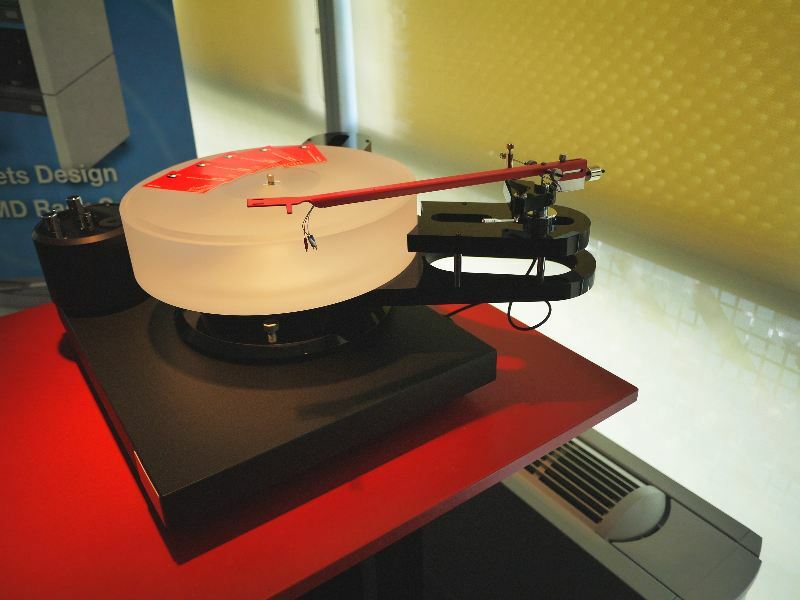 He offers complete turntables as well as motor units ready for installation in a plinth. 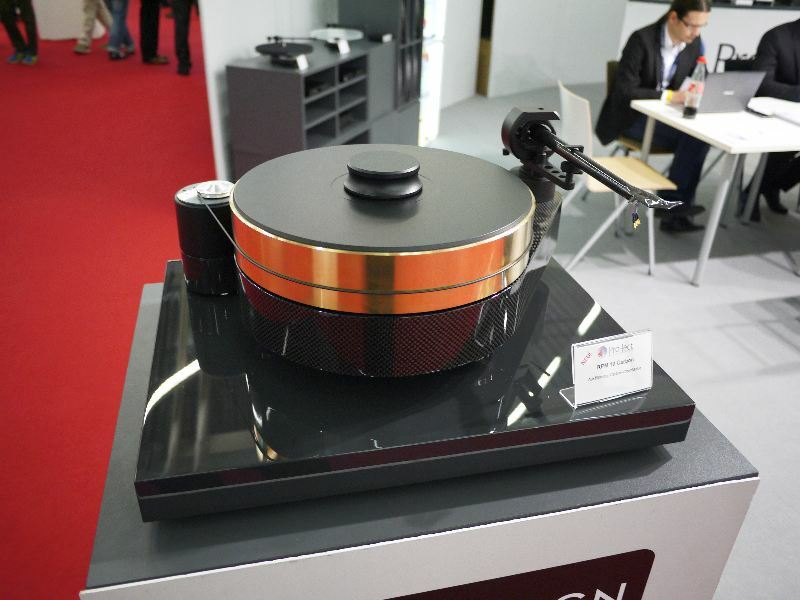 Pro-Ject showed their RPM 10 Carbon turntable with optional 30kg damped brass platter. 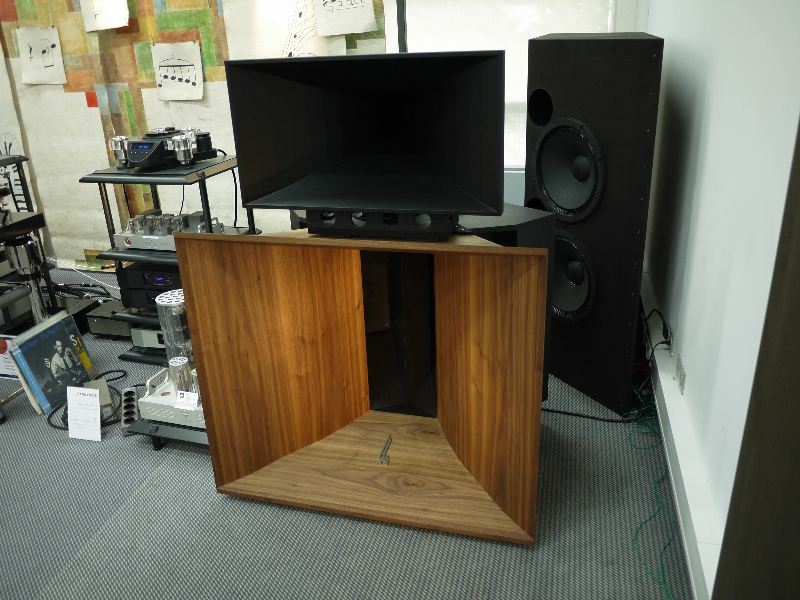 Pure Audio Project is a new company, which offers frames and wood panels, as well as drivers for DIY constructions of open baffle (a.k.a. 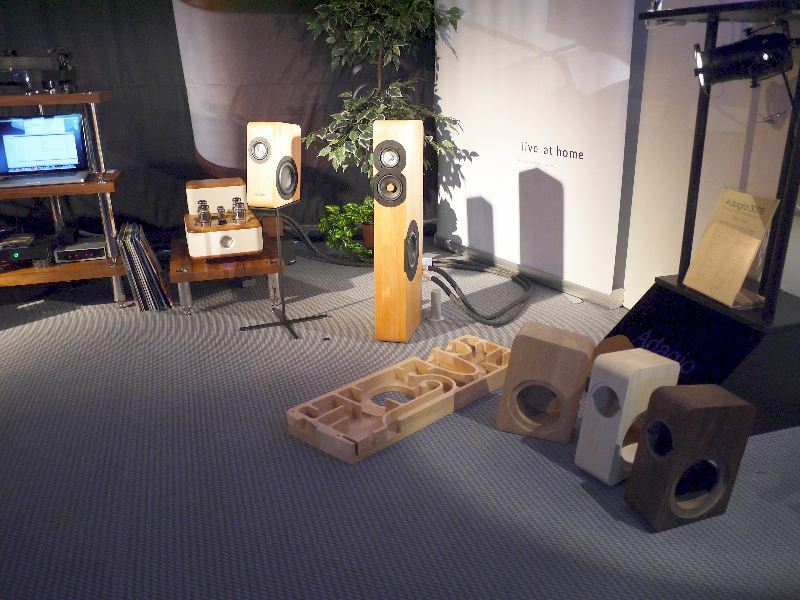 dipole) speakers. 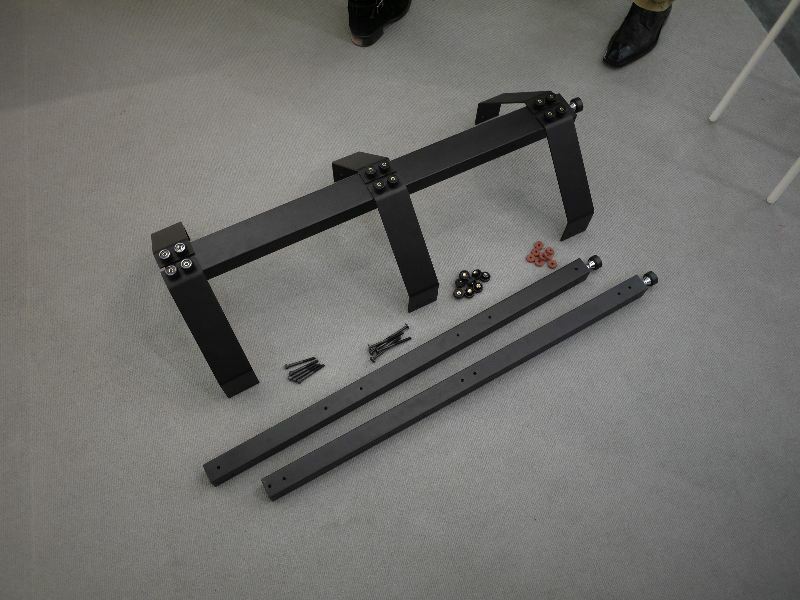 The big steel frame costs about 750 EUR/pr. 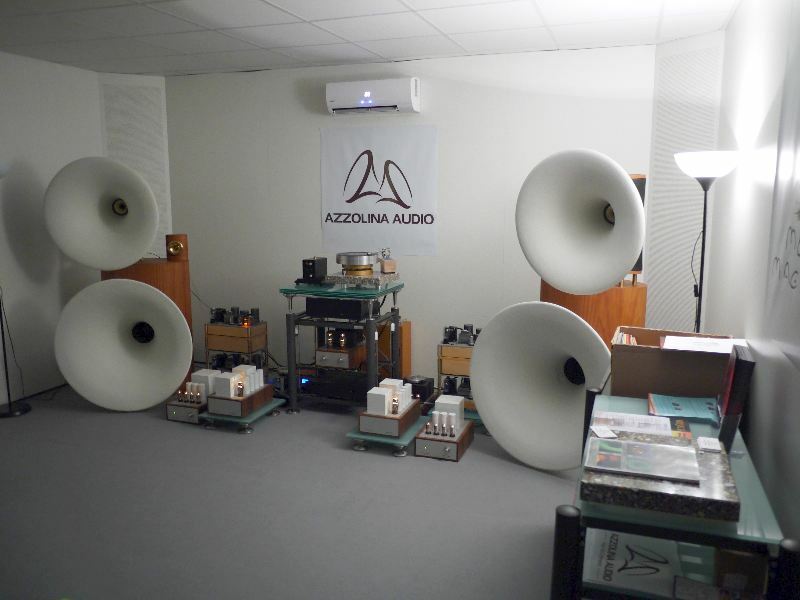 Azzolina Audio showed front loaded horns speakers, driven by Thomas Mayer's tube preamp and power amp. 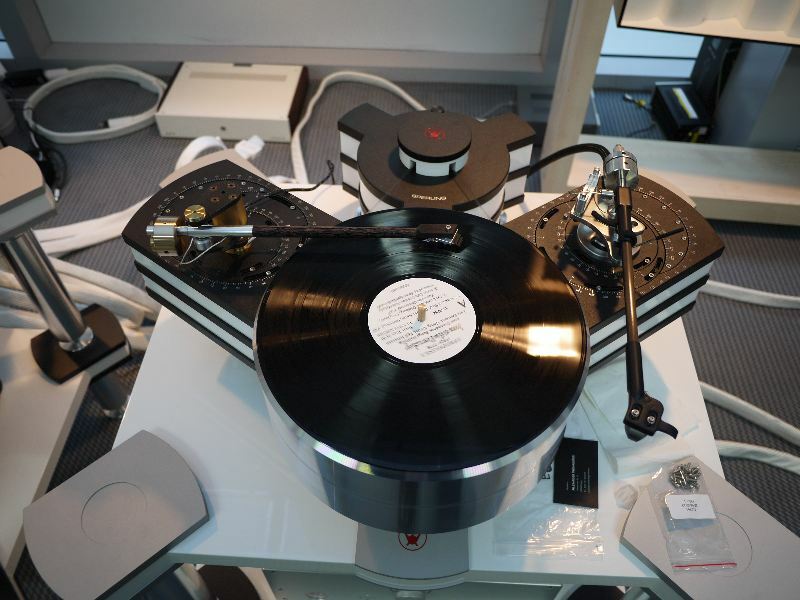 Music was deliverd from a Platine Verdier with a tonearm from Audiomods, which had been reviewed here on TNT-Audio. 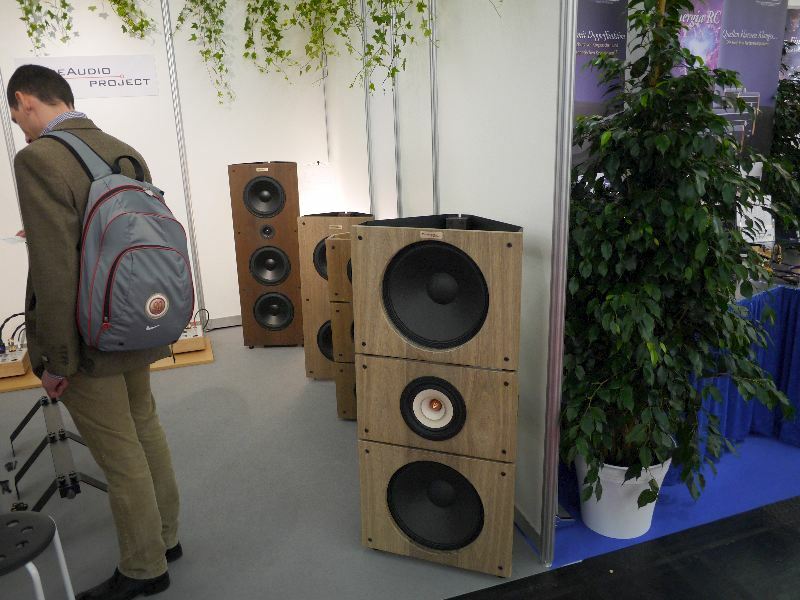 Totem Acoustic from Canada had some really pleasant sounding speakers, they reminded me of modern British designs. Tonally correct, open, etc. 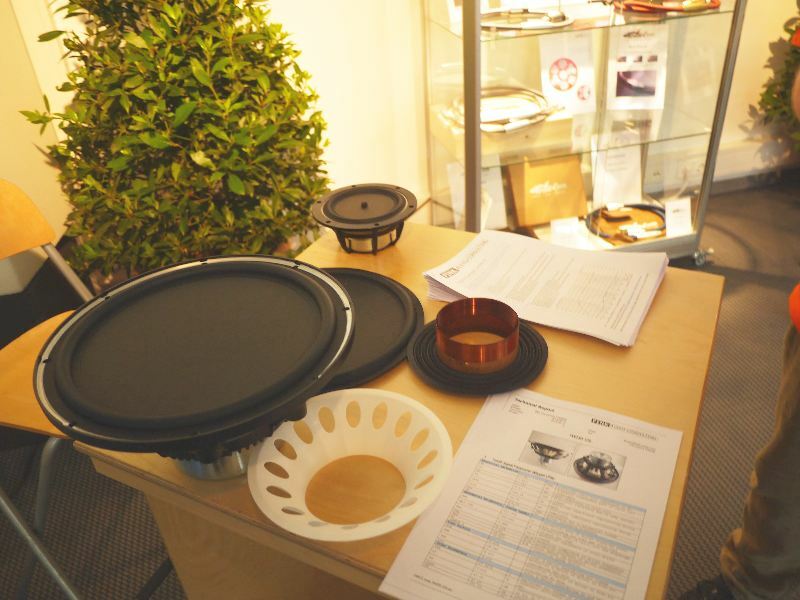 - the type of speaker you can recommend your father-in-law. 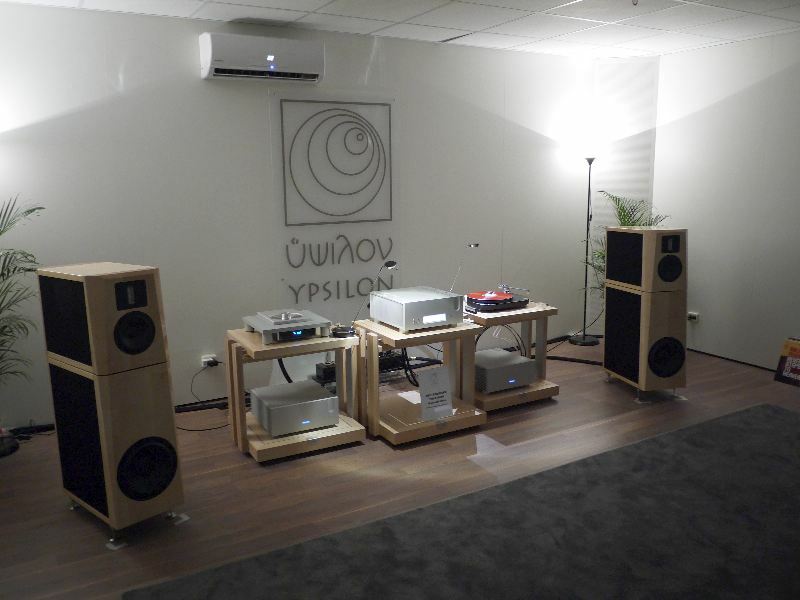 Ypsilon showed their new integrated for 16 000 EUR, a hybrid design with two tube stages and a solid state output stage. 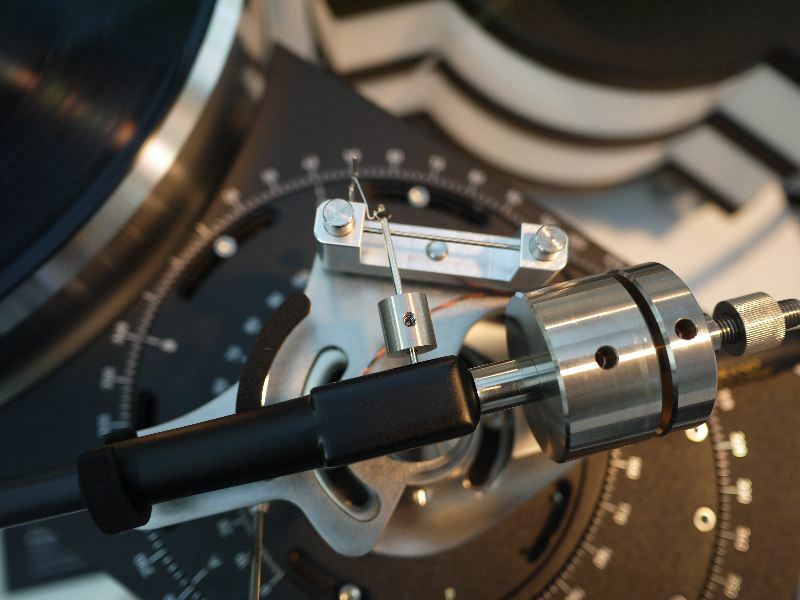 Like the Thomas Mayer line stages, the volume control is behind the line stage amplification stage, making sure that signal-to-noise ratio is better than you ever dreamt of. 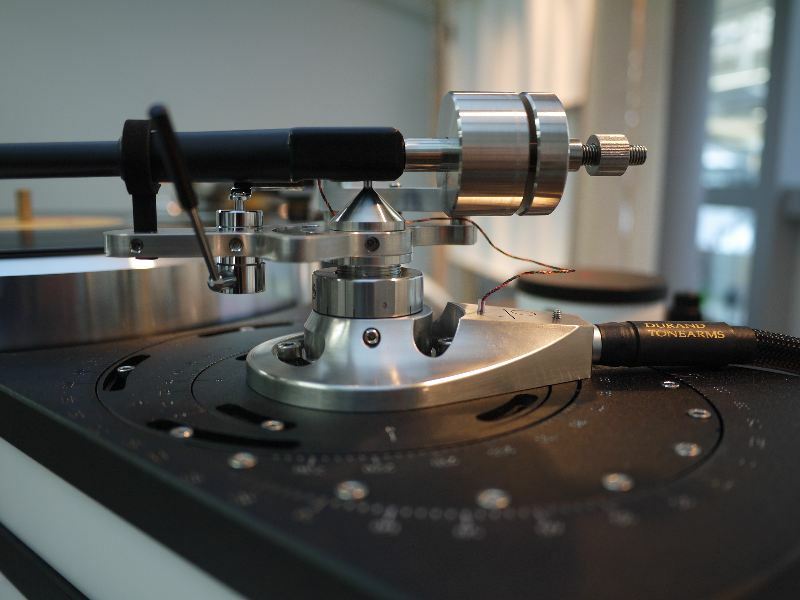 Music was from a Thales compact turntable. 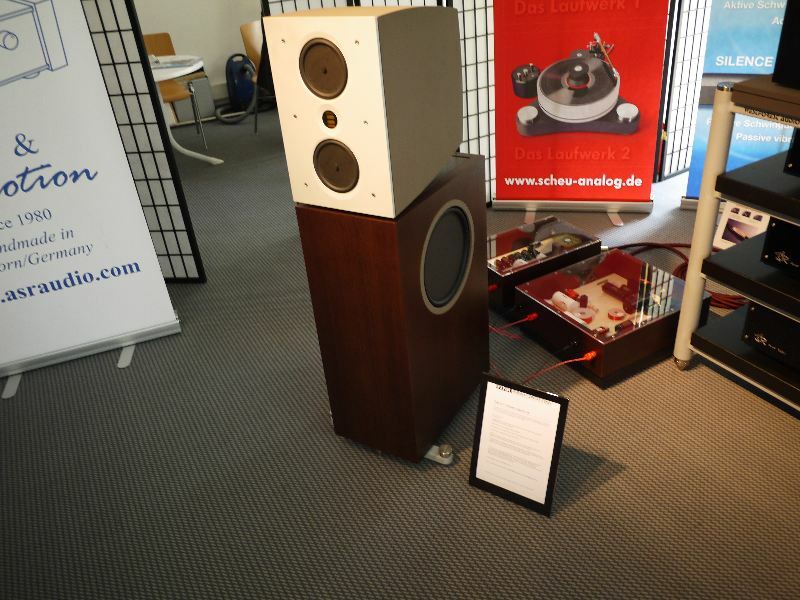 Boenicke Audio from Switzerland played their small W5 desktops and their small Anna column speakers. They look so cute, I just wanna take them home.